The former principal, who was the main accused in the BRD Medical College scam, claimed that major documents related to the scam have been stolen. 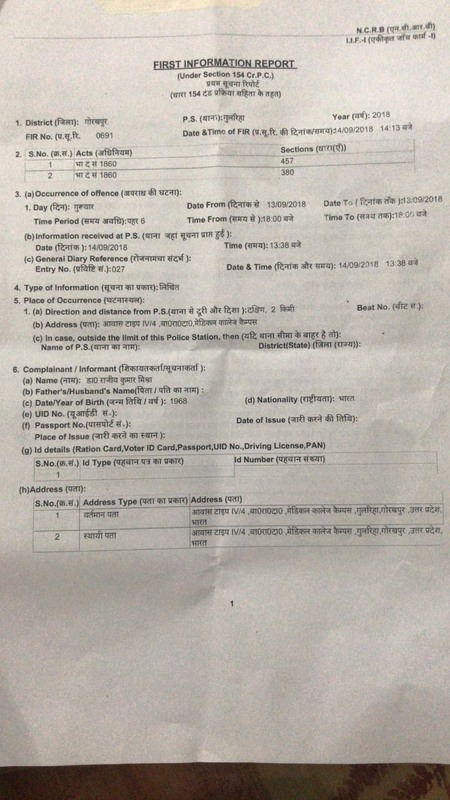 The official residence of Dr. Rajiv Mishra, the former principal of Baba Raghav Das (BRD) Medical College, Gorakhpur- who walked out of the Gorakhpur district jail on July 9- has been allegedly robbed by unknown people on Thursday evening. All documents related to the medical college scam were missing along with jewellery and cash, Mishra's son Purak told NewsClick. 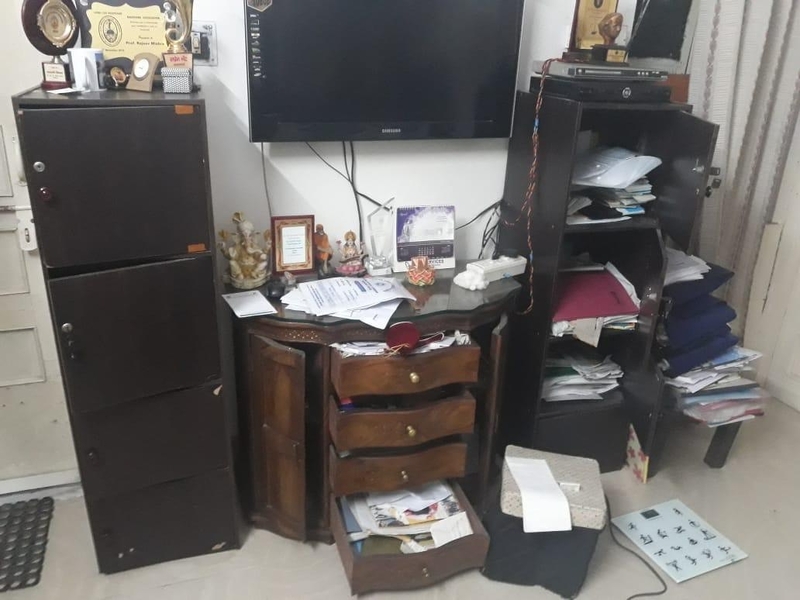 On Thursday evening around 6 p.m., when Dr. Rajiv Mishra was in Lucknow with his family, he received a phone call that his official residence in BRD's campus was broken into wherein various important documents and jewellery were stolen. Speaking with NewsClick, Rajiv Mishra's son, Purak Mishra said, “Though we were in Lucknow with the whole family for a departmental inquiry but our maid Pushpa used to frequently visit the residence to check in and clean. She informed me over phone that the lock of the house had been opened and when I asked her to enter inside the house, she found that all the boxes of jewellery were empty. Later, we found that jewellery worth of one lakh, almost sixty thousand rupees cash and a few important documents related to the BRD Medical College were missing, while others were damaged and dispersed on the floor. There was a DSLR camera and three mobile sets too, but they remained untouched as the burglar must have come with the express purpose of stealing the documents." Purak further added, "I dialed 100 as I was not in the city and when the police reached our official residence which is in the medical college campus, they found that several documents were missing." In August 2017, Dr. Mishra was made one of the prime accused in the case in BRD Medical College where due to shortage of liquid oxygen as a result of nonpayment of dues to the suppliers had led to the death of around 60 patients, mostly children. Dr. Mishra, who had been imprisoned on charges of corruption in payment of dues, was granted bail by the Supreme Court in July 2018 after almost a year of imprisonment.